Karolina focuses her practice on corporate law matters and mergers & acquisitions. 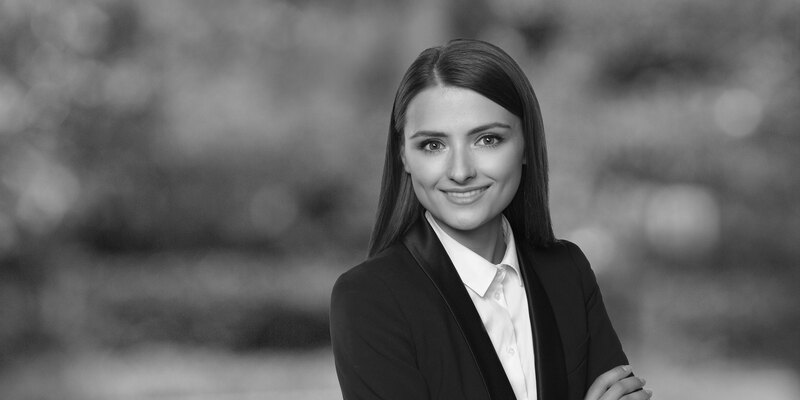 Karolina has provided corporate law advice in connection with cross-border M&A transactions, including due diligence exercises. She has assisted clients in bond issuances and public offerings, including in terms of information policy and reporting obligations. Karolina also advises clients on other corporate law related issues. 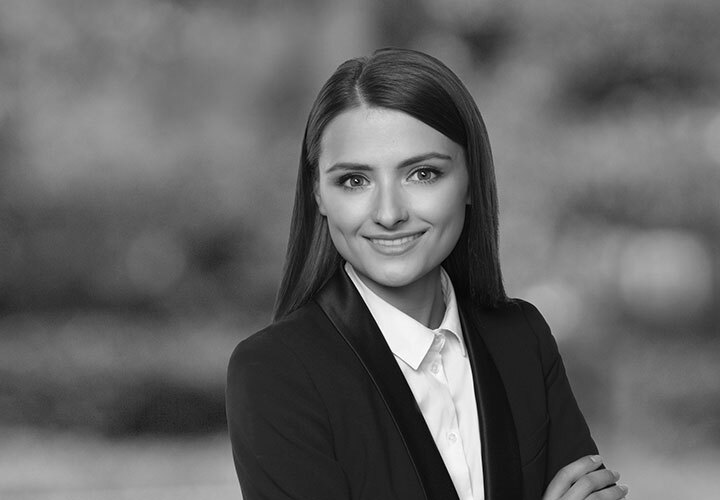 Prior to joining White & Case, Karolina gained experience in one of the leading international law firms in Warsaw. Credit Value Investments: representation of Credit Value Investments in the process of issuing bonds by an entity from the Golub Gethouse Realty Company Limited group. Credit Value Investments: representation of Credit Value Investments in the process of issuing bonds by a subsidiary of the Coast2Coast fund in connection with the planned investment in Krosno Glass (formerly Krośnieńskie Huty Szkła Krosno S.A.). RAFAKO S.A.: representation of RAFAKO S.A. in the process of a public offering of shares and introduction of the shares to trading on the regulated market operated by the Warsaw Stock Exchange. PGE Polska Grupa Energetyczna S.A., ENERGA S.A., ENEA S.A., PGNiG S.A.: representation of leading energy companies PGE Polska Grupa Energetyczna S.A., ENERGA S.A., ENEA S.A., and PGNiG S.A. in the process of acquiring 150 million shares in Polimex-Mostostal S.A.
Polimex-Mostostal S.A.: representation of Polimex-Mostostal S.A. (leader of the engineering and construction industry in Poland) in the process of introducing 150 million shares to trading on the regulated market in connection with co-financing granted by PGE Polska Grupa Energetyczna S.A., ENERGA S.A., ENEA S.A., and PGNiG S.A.
Kancelaria Medius S.A.: representation of Kancelaria Medius S.A. in preparation of a bond issue program worth up to PLN 100 million and introduction of the bonds to the alternative trading system operated by the Warsaw Stock Exchange. Prairie Mining Limited: representation of Prairie Mining Limited in the process of acquiring 100% of the shares in NWR Karbonia S.A. through a financial pledge. Participating in other M&A and capital market transactions, including due diligence reviews and preparation of the relevant documentation.